Walking with Jesus: Romans, Day 26: Romans 9:14-29 - Upon What Does Our Salvation Depend? Romans, Day 26: Romans 9:14-29 - Upon What Does Our Salvation Depend? Upon What Does Our Salvation Depend? 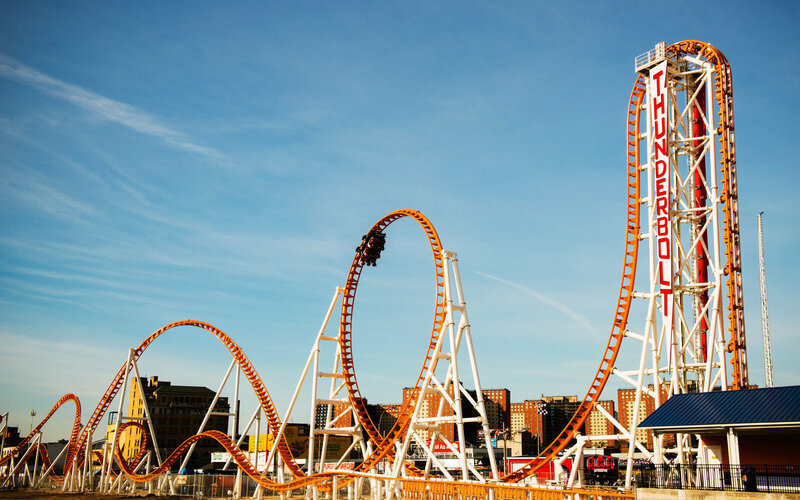 Have you ever ridden a roller coaster? The ride attendants have an important job, but very often they don't seem to take it too seriously. Sometimes, as I've looked at these college students (or high school dropouts? ), I've thought, "Is it wise to put my life in their hands?" The truth is, that while ride attendants do have important jobs, the safety of the riders on roller coasters is not dependent on these kids. Engineers, construction crews, safety inspectors, maintenance technicians and others with highly specialized skill sets have designed, built, tested, maintained and inspected these rides. Our eternal salvation is more important that the proper operation of a roller coaster. And the truth is that when it comes to our eternal salvation, we are less competent and capable than the worst ride operators at amusement parks. We are selfish, foolish, unreliable, unfaithful, morally corrupt and spiritually bankrupt. Many people cling to an ideology of a salvation based on free will because they want to preserve the law of fairness. 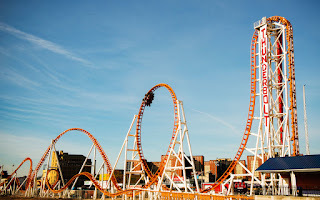 But making our salvation ultimately dependent on our free will is about as comforting as riding a 1000-foot-tall roller coaster designed, engineered and built by kindergarten students. God is not unjust, and we don't need to protect Him from charges of injustice. He has the right to do whatever He pleases, and He is always pleased to do what is right. And it is His just and righteous will to have mercy on some, saving them in His compassion, but not to save all. As Romans 9:18 says, "he has mercy on whomever he wills, and he hardens whomever he wills." This truth, as hard as it may be to accept at first, brings incredible comfort to those of us who are trusting in Jesus Christ for salvation. We know that we have our part to play in God's design of salvation: Someone preached or shared the Gospel with us. Someone else probably prayed for us. We came to believe by the grace of God and we received and rested upon Christ alone for our salvation. The good news of sovereign grace is that none of these secondary causes is ultimately responsible for our salvation. From beginning to end, our salvation "depends not on human will or exertion, but on God, who has mercy." That is very good news indeed! If I am not the ultimate cause of my salvation, then I don't have to live in fear, worrying that I might mess up so badly that I could destroy it. No, God is working out His greater purposes, in our salvation as well as in everything else, and we can rest in His powerful hands!